Our craft group at church, Hearts and Hands, made an Easter craft tonight. 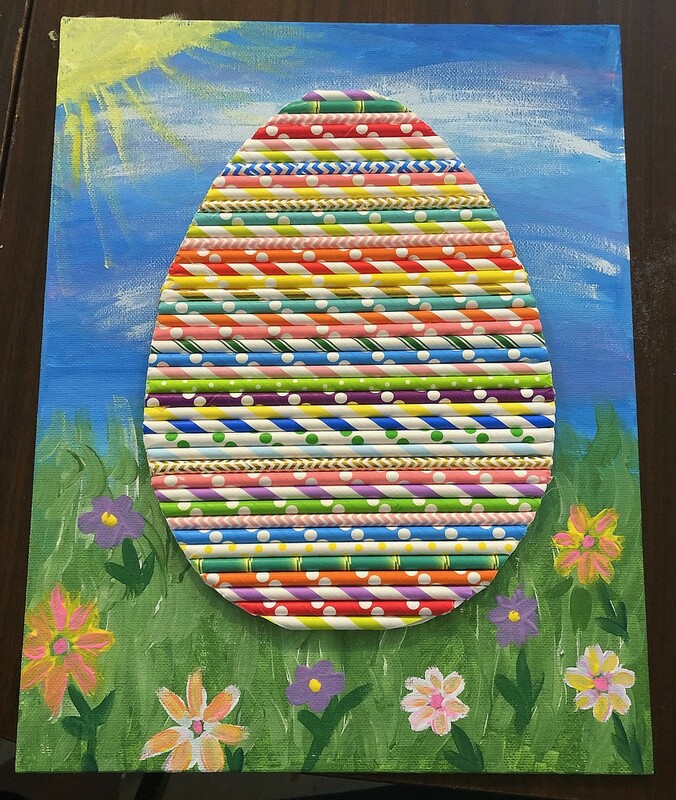 We painted backgrounds, then used paper straws to make the Easter eggs. They all turned out really cute. I made this one. What a great idea! I like them all, but comment only on this one because you made it!